Frank Sinatra was a famous American singer and film actor whose music captivated the hearts of millions of people around the globe. Song such as Come Fly With Me, Strangers in the Night and My Way are instant classics that are still listened to by today’s generation. As a founding member of the Rat Pack and having his own Las Vegas show, Frank Sinatra’s legacy will go down in history as one of the most famous musicians in this lifetime. We were originally approached by a contractor wishing to modify and install an old wrought iron gate into a new location. During our initial inspection of the gate, we immediately noticed that this gate was a very special one. 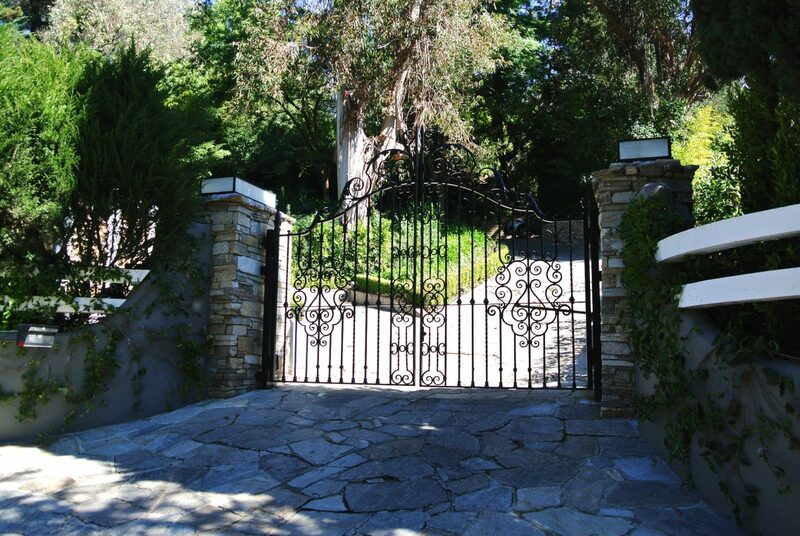 Our hunch was confirmed as the contractor told us that this gate, in fact, belonged to the late Frank Sinatra. The gate, like its previous owner, was impressive and majestic. The original iron was made from heavy-duty material and the elaborate design is beautiful. We knew we had a piece of history in our hands and we had to proceed with as much grace as we could, even when dealing with heavy iron materials. Because the location where we were to do the installation was smaller than the original location of the gate, we had to delicately slim down the Sinatra gate to fit properly. We had to ensure that we do not sacrifice the original design of the gate while ensuring that the heavy gate is propped right up. 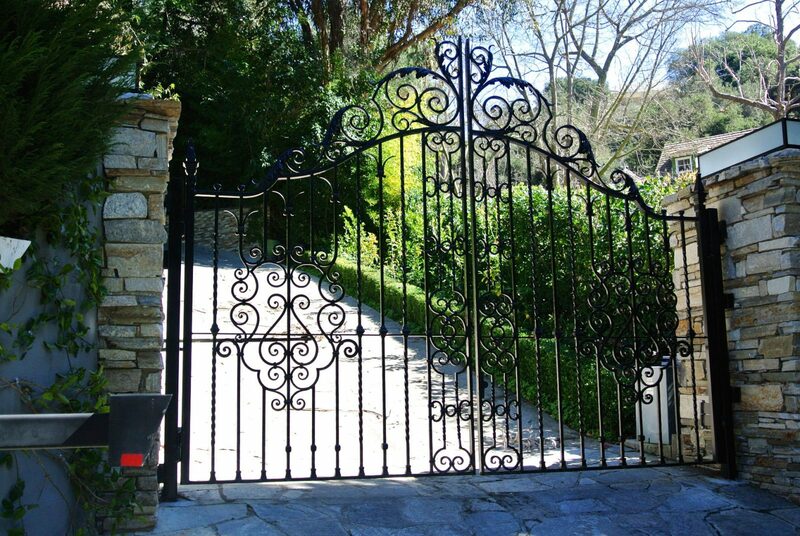 The installation went smoothly and the gate looks as grand as it is did on the original location. 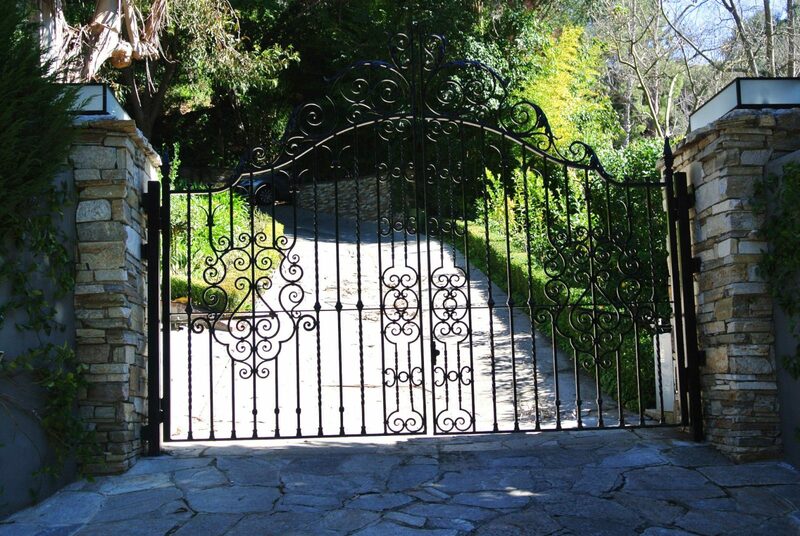 We aimed to maintain the original appeal of the entrance gate of Frank Sinatra’s home and introduce the modified gate into its new owners, without losing any of the original grandeur and reputation. In the end, we succeeded this goal and we are proud to have found Mr. Sinatra’s gates a new home.